Volkswagen's Audi unit is the first automaker to receive an autonomous driving permit in California, as new laws in the state governing the process went into effect on Tuesday. 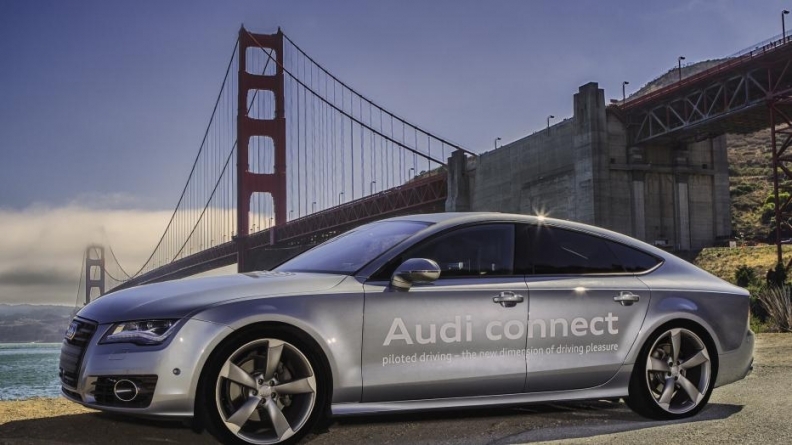 Audi was also the first company granted a permit in Nevada, as well as the first to test on Florida’s “connected car” expressway. In a statement Tuesday, Audi said it has conducted thousands of miles of self-driving car research already in Europe and various U.S. states where testing is currently permitted. A freeway in Tampa, Fla., was named a connected car throughway in 2012, the statement said. California has been the site of such testing before, but state Sen. Alex Padilla helped pass legislation in 2012 establishing new guidelines for the practice. The new regulations state that a company must have insurance worth at least $5 million to test on the state’s roads. That’s per car -- not total. Mercedes, Toyota, Ford, General Motors and others also are testing autonomous cars. An IHS Automotive study says that by 2025, there could be as many as 230,000 self-driving cars hitting the roads per year.